What makes Tatlong Taong Walang Diyos (Three Years without God), about the Japanese Occupation of the Philippines during World War II, such a great film? O’Hara’s style is thrillingly simple: each scene begins and ends like any other scene in a well-shaped drama. But there’s a quiet undercurrent that builds, sequence upon sequence, with the smoothness and power of a rising tsunami, until it pulls your feet out from under you, breaking high over your head, overwhelming you. I can cite similar examples: Hemingway’s simple, sinewy prose, which (as he once described it) was like keeping an alcohol flame as low as possible, until it explodes. 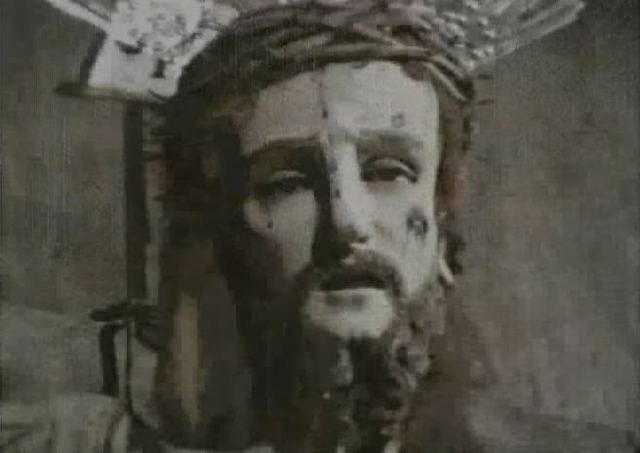 Or Jean Renoir’s films, which Tatlong Taong most resembles (if it resembles any film at all). Renoir and O’Hara (in Tatlong Taong at least) share several virtues. An unassuming yet undeniably cinematic visual style (O’Hara’s shots are so good, yet serve the story so well, you might want to watch the film three times just to find out why they are good). An unerring sense for understated drama–you find yourself perched at the edge of your seat wanting to learn what happens next. And an amazing–Godlike, yet intimate–empathy for the people in their films. That empathy is, I think, the source of Tatlong Taong’s greatness. Sympathy for wartime Japanese has always been in short supply, with the words “comfort women” and “wartime atrocities” being rattled about in Asian newspapers like so many closeted skeletons. 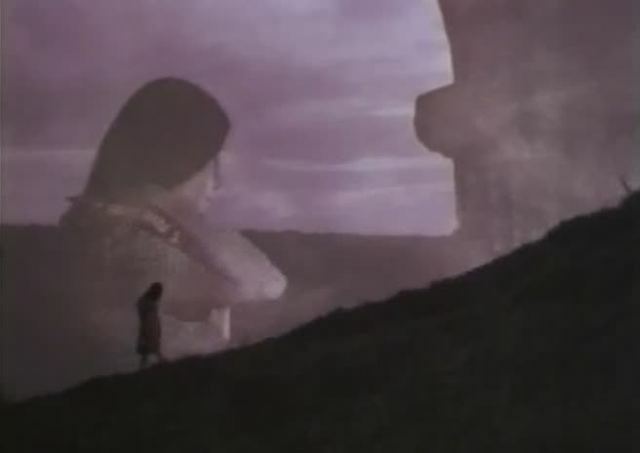 The Chinese have no love for World War II Japanese; you just have to watch films like Farewell To My Concubine, or Red Sorghum (with its horrific flaying scene) to appreciate how little they are loved. Even the Americans have done their share of Japan-bashing, with films like Rising Sun and Black Rain. There have been exceptions, mainly in American movies: Bridge On the River Kwai, Sayonara, the awful Come See the Paradise. There’s even one Thai film that featured a sympathetic Japanese soldier. But Thailand and America were never conquered by Japan; they never tasted the pleasures of Japanese Occupation firsthand. 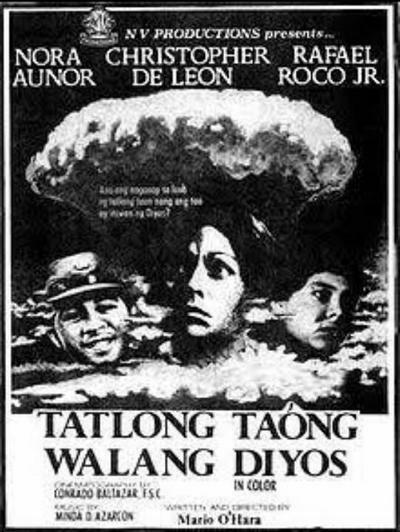 Tatlong Taong Walang Diyos is unique in Philippine cinema–in all the world–as being the only film, made in a country once occupied by the Japanese, that treats those same wartime Japanese as human beings. Not that the Japanese soldiers in Tatlong Taong are sweetened versions of the real thing: they are shown as killers and rapists, capable of performing all kinds of brutal acts. But they are also shown to be capable of regretting their acts; they are shown to be deserving of our sympathy–even of our love. As an act of understanding, almost of forgiveness, this is totally unheard of. It could easily be seen as a mistake, a foolish gesture made out of weakness by one small, Asian nation to another, far more powerful one. I could go on and on, talking about technique and story and historical context; I could talk about Vincente Bonus’ contribution to the production design (he was responsible for every accurate detail about wartime Philippines), or Conrado Baltazar’s glorious color photography, or Ms. Minda Azarcon’s lovely chorale music. But Filipino filmmaker Tikoy Aguiluz (Boatman, Rizal Sa Dapitan (Rizal in Dapitan), Segurista (Dead Sure)) sums it all up nicely with a simple formula: he measures a film’s greatness by the impact it had on him personally. 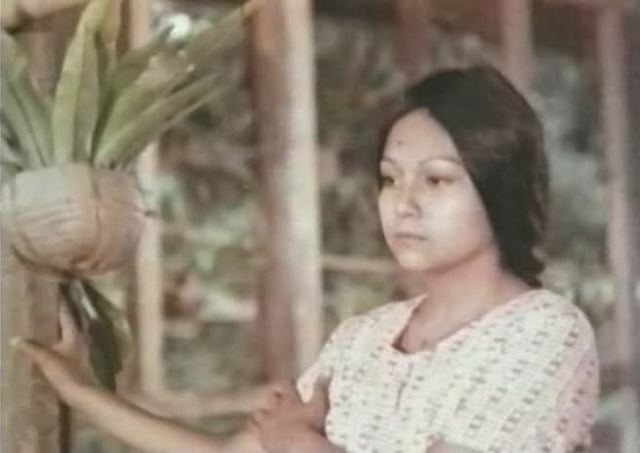 By that standard, I think Tatlong Taong Walang Diyos is the greatest Filipino film ever made.